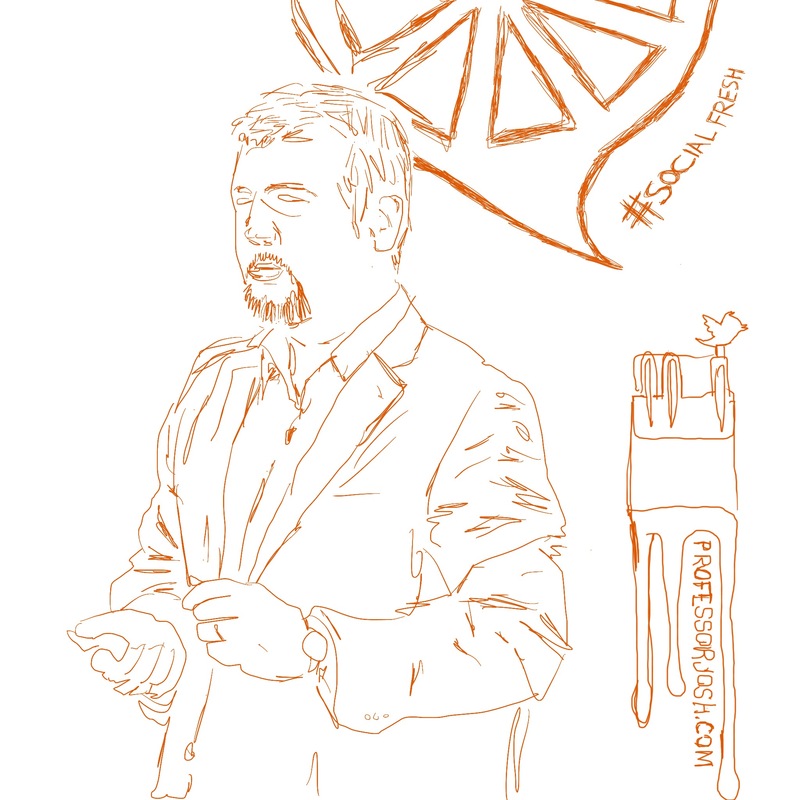 I’m back with another great set of sketches that are linked to most of the wonder presenter’s decks from Social Fresh 2013. This event was help in Tampa, FL on April 18 and 19 at the Doubletree. 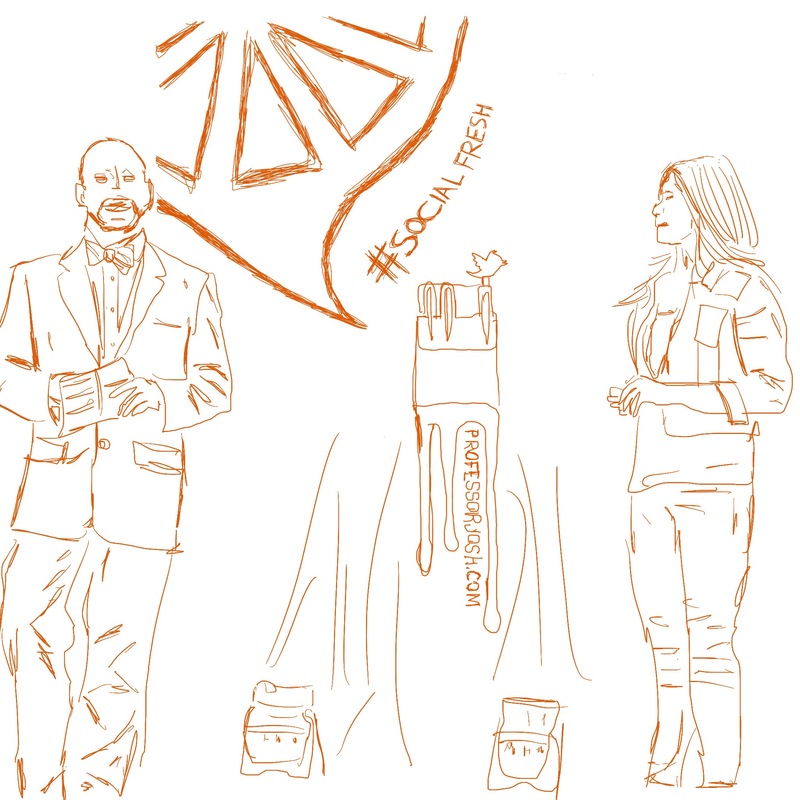 Social Fresh is mainly gear toward those in social media and marketing but touch on great topics for big brands, small businesses, educational institutions, and non-profits. 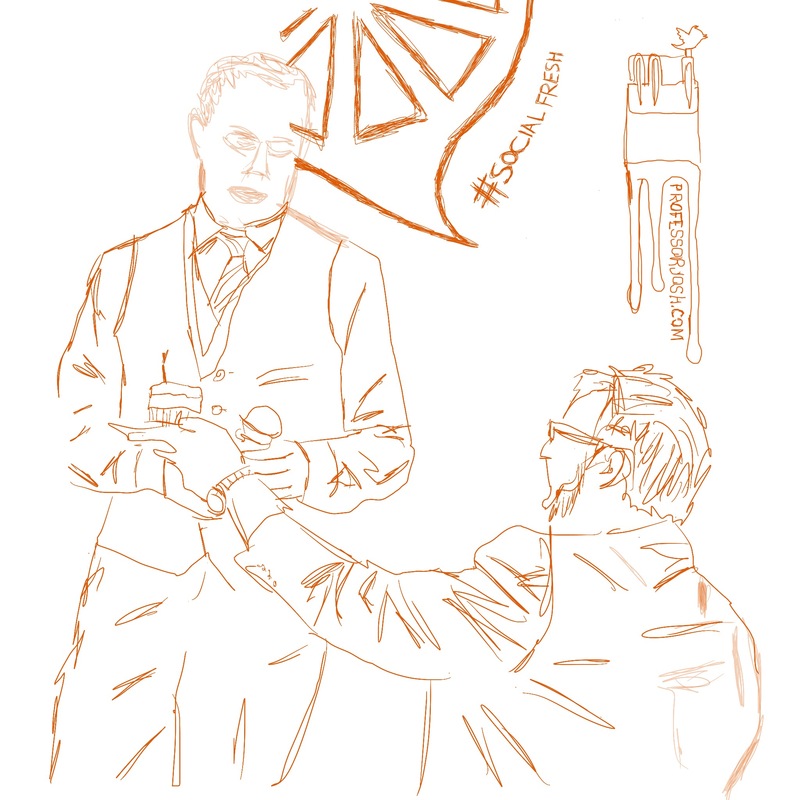 As you look at the sketches below, click on them to access the speaker’s deck from SlideShare. One of my favorite sketches was done from a photo of my friend Justice Mitchell and myself. Want to see lots more photos and sketches in a video format? awesome! love this…it was nice to have meet you in Tampa and this is a solid reminder of the greatness of the event and at the event!